# Work on Northbridge-IP Verification for next generation AMD Products. 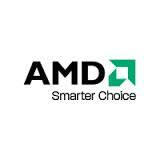 # Northbridge is a key IP that goes into all AMD microprocessors. # MTS level engineer is responsible for leading verification of a block/sub-block and cover all aspects of verification from testplanning, test writing, checkers, testbench, debug, filing bugs. # He/she should be able to guide/mentor/lead small number of junior engineers. # Engineer is expected to have prior experience on latest verification methodologies and exposure to SV/OVM/UVM based environments. # Experience with complex multi-million ICs is a plus.